Tesla CEO Elon Musk has recently highlighted a host of updates pertaining to Tesla's cars, which include a new glimpse of the Model Y hatchback, changes to the Semi truck, and "full self-driving features" with Autopilot 2.0. Tesla CEO Elon Musk has never been short of making uber-promising claims and statements. While he has developed a bit of a bad reputation for often being behind schedule, he does happen to deliver on most of his towering promises. Recently, across the annual Tesla shareholder meet and on his favourite social medium Twitter, Musk has spoken about a bunch of crucial updates that elucidate exactly what Tesla has in plans for its immediate future. The list includes much-awaited updates on the Model Y, more imminent updates on its car’s firmware - Autopilot, and a bunch of other updates involving its Superchargers and even the Semi. 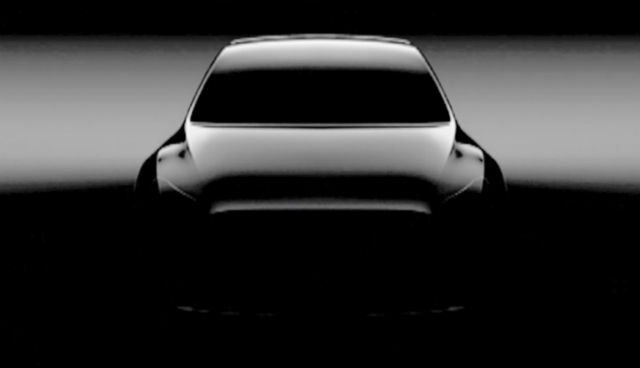 Easily garnering the maximum amount of interest is the new teaser released for Tesla Model Y. There have been a lot of updates about the Model Y of late, beginning with the estimated production timeline that Musk has earmarked for “maybe around two years from now”. While he seems to be targeting end-2020 as a possible date of production, a little bit of pragmatism would urge you to believe that there can be a delay of up to one further year, when the car eventually makes it to the road. Further details about the manufacturing of the Model Y are expected some time later this year, close to its date of unveiling, which has been slated for March 2019. We’ve only seen about two teasers of the vehicle so far, and as far as details go, the Model Y is expected to be a mass-market offering similar to the Model 3. 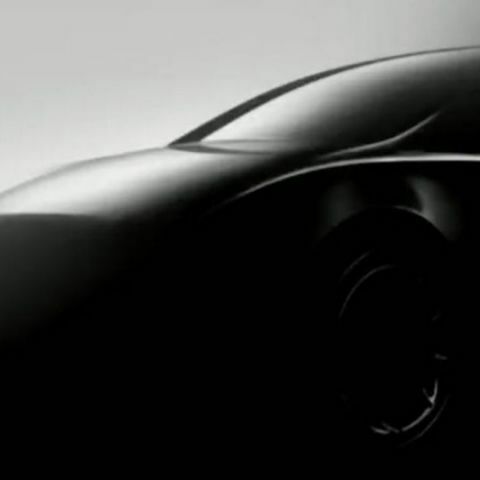 It is also expected to be a hatchback, with smaller dimensions than the Model X and Model S. From the teasers, however, the car does appear to be quite bulky and large. In other news, Tesla is also releasing its much-awaited Software Version 9.0 this August, two years after Version 8.0 hit the Tesla cars. In a tweet, Musk has claimed that Tesla will be rolling out “full self-driving features” to its cars, although that does not mean that Tesla’s cars will instantaneously achieve Level Five autonomy. What this means is that the company will be gradually rolling out updates to the software and its onboard computers to make more superior judgements and decisions, alongside the standard lane keeping, adaptive cruising, collision mitigation and obstacle detection systems. All these systems will form Autopilot 2.0, and is certain to be among the most sophisticated autonomous driving technologies available on road once it starts rolling out in two months’ time. Rolling updates for Autopilot have seen a complete rewrite of Tesla’s neural network, possibly in anticipation of more superior features. These features would also fit into smart home systems, and functionalities such as ‘Summon’ can actually start justifying Tesla calling the system Autopilot. Nevertheless, part of the reason why Autopilot 2.0 cannot be “full self-driving” is owing to the regulations in place right now, which make it compulsory for a driver to keep his hand on the steering wheel and be alert towards the road. Full self-driving abilities entail Level Five of autonomous driving, where the person behind the steering wheel is as good as a spectator. Even if Tesla’s cars are equipped with all the hardware and the necessary level of complexity and intricacy in its software required for fully autonomous driving, the same will be restricted by the laws, at least for now. Still, this makes for some interesting news, and remains to be seen how it actually works and the features that it actually adds. The third generation of the Tesla Supercharger was initially teased by Musk back in 2016, at which time he had stated that it will come with over 350 kW of power output, and off-grid solar arrays and Powerpack systems. At present, the current Superchargers are capped at 145 kW output that is restricted to 120 kW in the cars. Incidentally, Tesla has just achieved the milestone of establishing 10,000 Supercharger stations across the world. While it has added solar arrays and Powerpacks to a few, much work still remains. More recently, Musk also stated that the revised status of the ultra-fast charging Supercharger V3 will see its power output being around 250 kW. This would make more sense from both engineering and efficiency point of view, as it would certainly improve charging times while easing the roll-out timeline. Eventually, as Musk stated last week, the Superchargers can reach up to about 480 kW power output, which is apparently the engineering cap for passenger vehicles at the moment. The design of the Supercharger V3 is almost final now, as per reports, and while the initial roll-out plan was for late-summer, the same has now been pushed to end-2018. The Supercharger V3 network plans will include faster expansion and upgrade processes too, and since it is being equipped with solar cells and Powerpacks, Musk has also deemed it “zombie apocalypse-proof”. Is it too early to be optimistic about some attention finally being thrown towards India? He has also thrown some light at how it would work, stating that the thrusters will be composite overwrapped pressure vessels (COPVs) containing ultra-high pressure air. 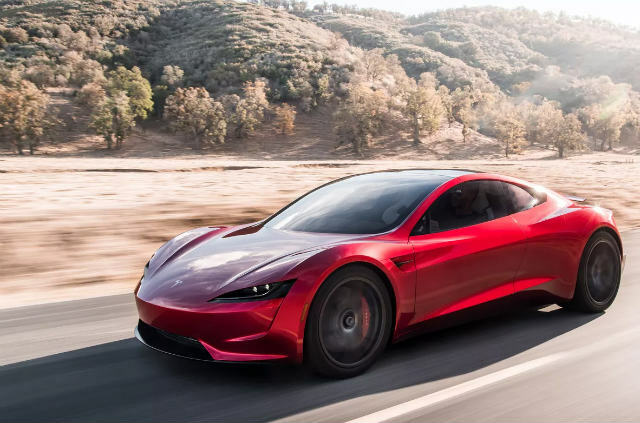 Despite the addition of thrusters, the Roadster will still remain all-electric as these vessels will be replenished automatically by air pumps in the car, which would use energy from the onboard batteries to recharge the system. It’s really borderline insanity now, but that’s pretty much how automotive boundaries have always been pushed. The trade-off? You’ve to let go of the two “kid seats” at the back if you add the rocket thrusters. In hindsight, it wouldn’t be too wise to go rocketing across tracks with your kid onboard anyway, would it?